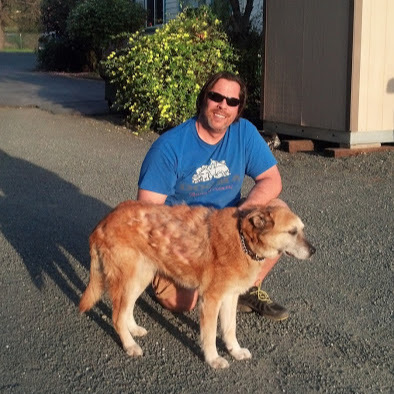 The Senior Dogma Program accepts senior dogs that have been abandoned at high-kill shelters across California. 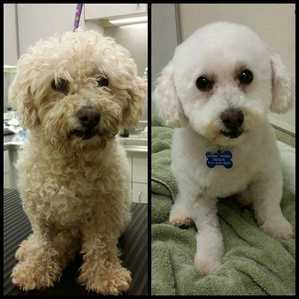 Often these dogs arrive with medical conditions that limit their adoptability. Dogma ensures the animals receive quality medical care, regardless of the cost, and places them with loving families in our local area. Unlike most senior adoption programs, the Senior Dogma Program is open to any qualified applicant, not just seniors over 55. At this time we are unable to accept senior dogs from private individuals, only animal control facilities. 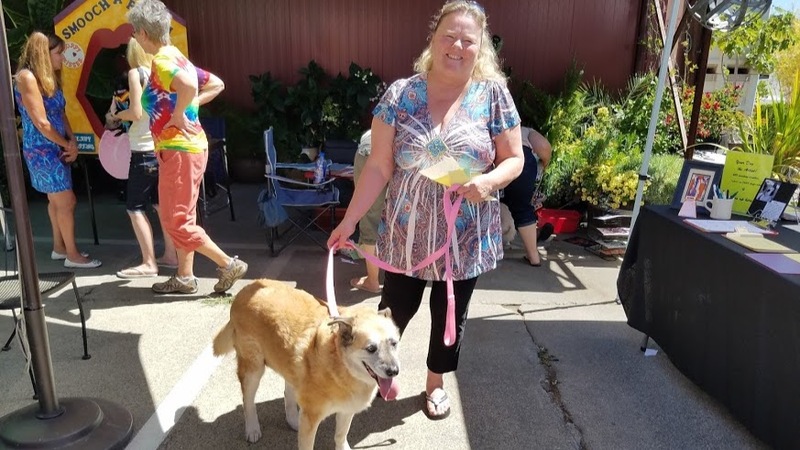 As with all our adult dogs, each animal is altered, microchipped, vaccinated, Heartworm tested, wormed, treated for fleas/ticks, current on Heartworm prevention and medically examined before adoption. 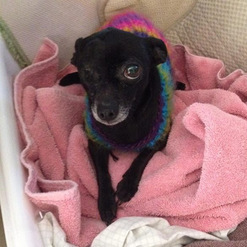 In order to keep this program viable we need fosters willing to care for older dogs. 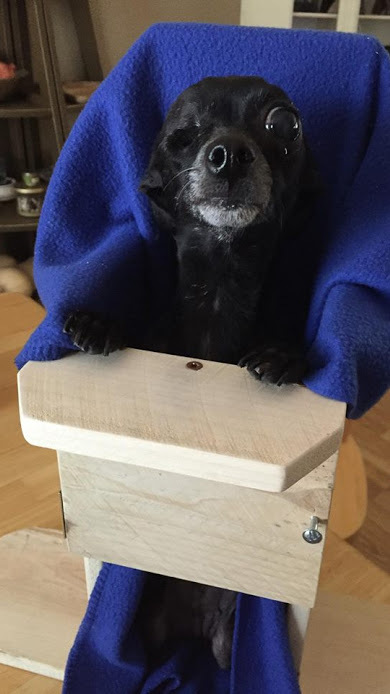 If you would like to become involved in our Senior Dogma Program, please email dogmaanimalrescue@gmail.com and include Senior Dogma Program in the subject line. Below we have detailed some of our rescued senior dogs. We welcome you to learn about their individual success stories. ​Gertie is a 10-12 year old Lab/Pit Bull mix that came from a local Lake County shelter. 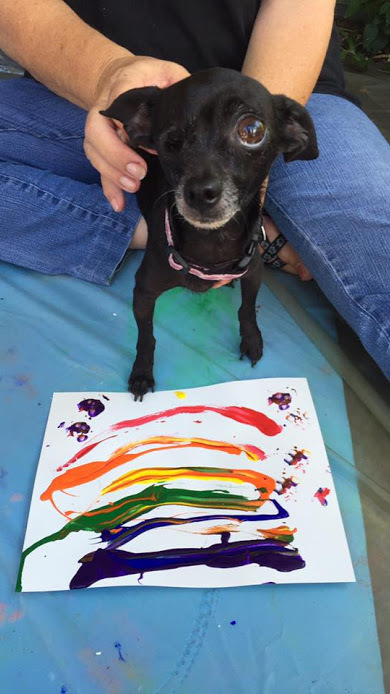 We originally took her into our program because she was pregnant and facing euthanasia, however after a week or so we began to realize something was wrong. Medical test confirmed our suspicions and we learned that the swelling in Gertie’s belly was cancer that had spread into many organs. Even suffering the effects is this awful disease, Gertie had a sweet disposition and a wonderful spirit. We could see that her time with us was might be short, but she still had a lot of life in her. Gertie is currently living in a Dogma fospice home where she is spending her golden days living the life if luxury. We expect her to be with us for the next few months. 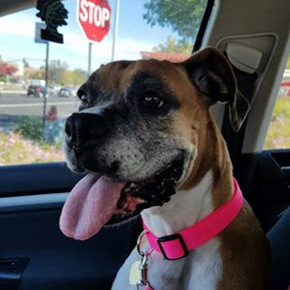 Daphne is an 8 year old Boxer that arrived at one of our favorite shelters in the Central Valley malnourished and in need of emergency medical care. She was suffering from a serious infection in her back leg due to an untreated injury, broken ribs, and severe malnutrition. This sweet girl spent many weeks recovering in a foster home while she healed. 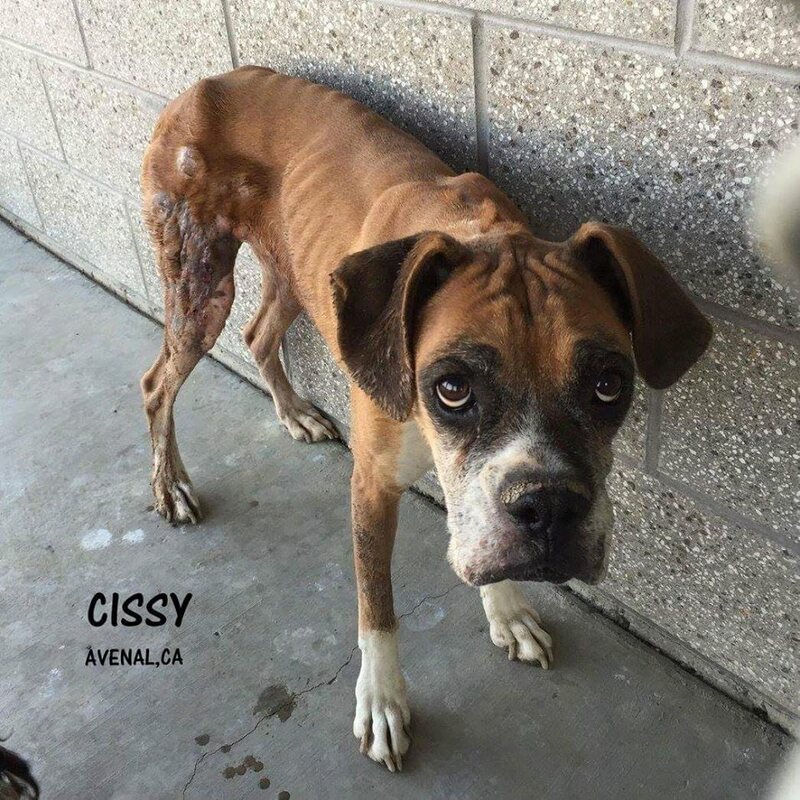 She had to be fed very small portions of food many times a day to accommodate her malnourished body, and required many weeks to antibiotics to kill the bacteria living in her injured leg. The wounds were consistent with being thrown from a moving car. Daphne was adopted in late summer by a lovely family, but since that time the existing dog in the home has become jealous of her and the two are not getting along. Because of that we are currently looking for a new home for this girl. 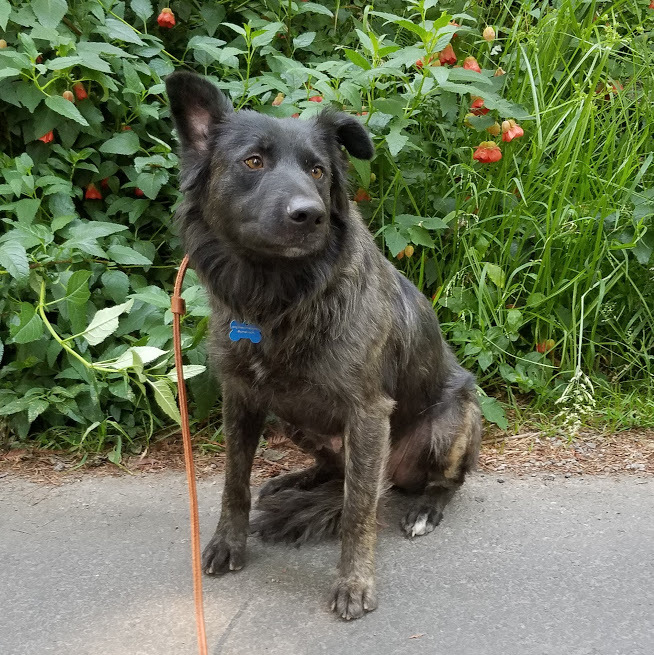 Piper is a 6 year old Dutch Shepherd mix that arrived from a high-kill shelter with a litter of newborn puppies. 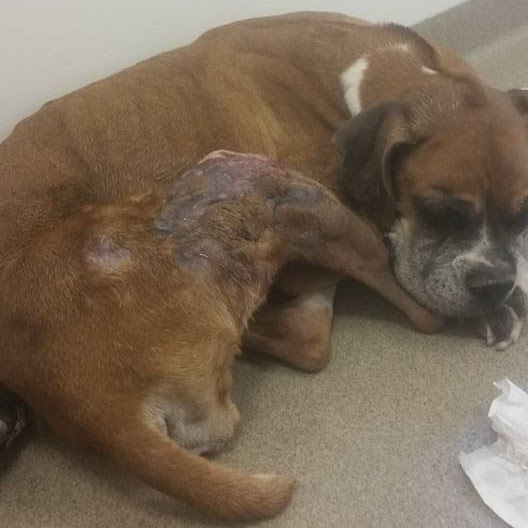 She was very skinny and had open wounds across her body from a severe flea infestation. During her time with Dogma, Piper raised her puppies and we were able to get some weight back on her. 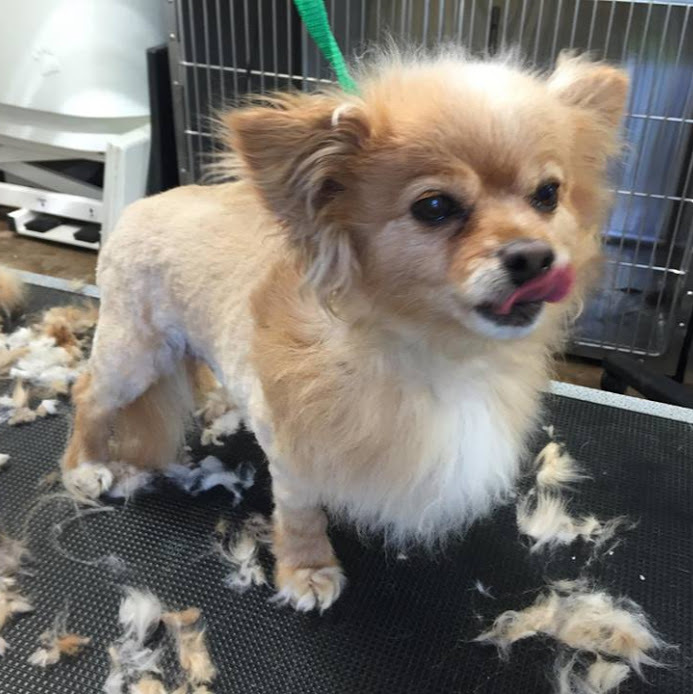 Quality medical care, a healthy diet and coconut oil helped her skin and coat. 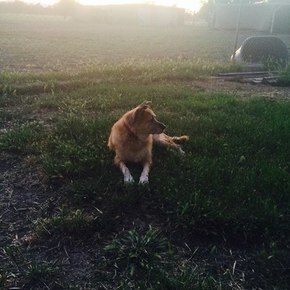 We also learned that Piper did not always enjoy the company of other dogs, chased cats and farm animals. Piper needed a special home. Lucky for Piper, John saw her online and fell in love. She now lives a few small miles from Dogma Central with a great guy. She’s put on a few extra pounds, but she looks much better as a plump girl that a skinny one. Best of all, she finally found that perfect home where she is the only pet and her owner loves her dearly. ​Sometimes in rescue we see terrible things. 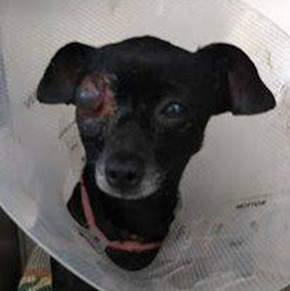 When we received a picture of 6 year old Chihuahua mix, Rainbow, with her terribly injured eyes, we jumped into action. Rainbow was pregnant, malnourished and in terrible shape. Upon arrival this senior gal was admitted into Northtown Animal Hospital for treatment. Almost immediately she miscarried her only puppy and spiked a fever due to the infection in her injured eye. We couldn’t do surgery to repair the eye until her fever was under control. 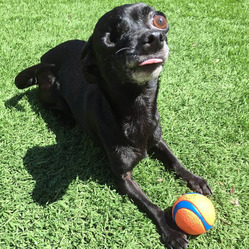 The first few days were challenging, but eventually her eye was removed and her slow road to recovery began. Months into her rehabilitation we discovered that Rainbow had megaesophagus, a condition that caused her to regurgitate her food. 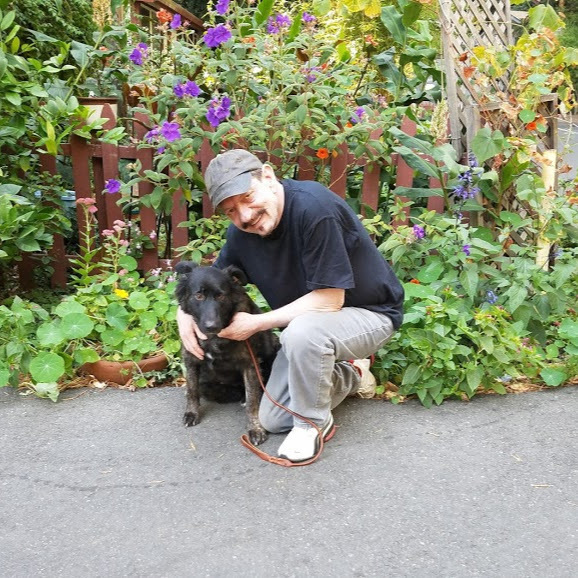 Most dogs with megaesophagus don’t survive puppyhood, but Rainbow survived into adulthood because she’s a fighter. To accommodate this defect Rainbow has to eat many small meals of mush daily while sitting in an upright position. 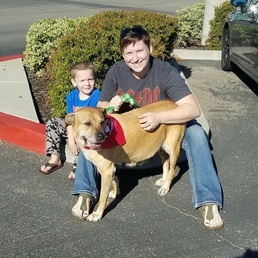 Most people are not up for the task of caring for a dog with such requirements, but Rainbow’s foster mom, Meredith, couldn’t let her go and adopted her. Rainbow is a Dogma favorite and one of our greatest successes to date. 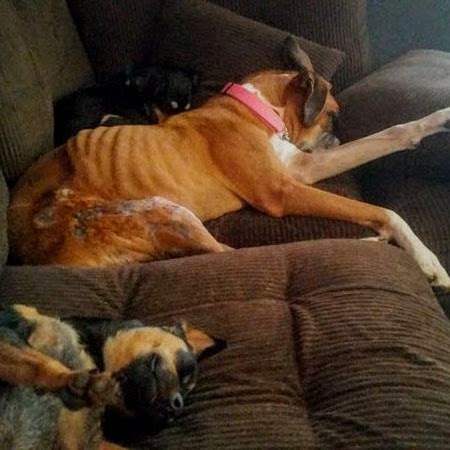 This little dog had so many things go wrong with her and still came out a survivor. We love her and Meredith! 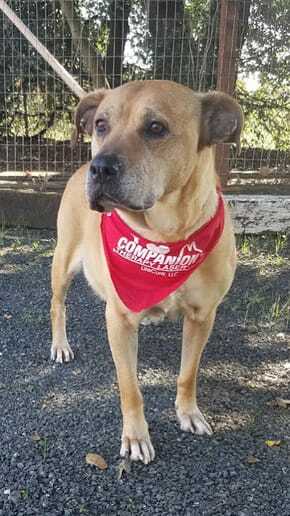 One afternoon our founder happened to be walking through a Central Valley shelter at closing time and came across 8 year old, Haley, a senior Shepherd mix. 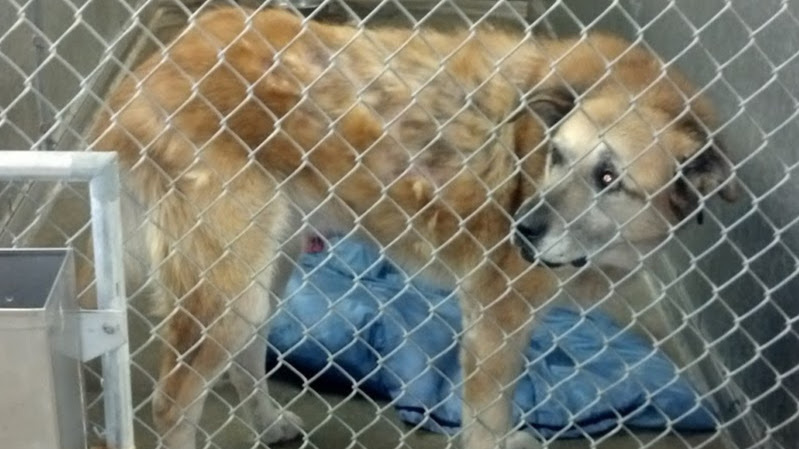 At the time the shelter staff was preparing to euthanize the dogs that had run out of time. Haley was one of those dogs. She was deaf and had been pre-sedated so she was leaning against the wall. Among all the noise and confusion, Haley just stared at the wall and wouldn’t acknowledge him. Seconds later she was loaded in the Dogma van and on her way to a new life. Haley’s coat was in terrible shape because of a flea infestation, she was deaf and she had hypothyroid disease, but the good folks at Northtown Animal Hospital fixed her right up. We had posted an urgent plea for a foster home while we were still at the shelter. Thankfully, Robin saw Haley’s picture on our Facebook page and agreed to foster her. Once we got her medical issues under control Robin adopted Haley. Haley now lives on a farm and her best friend is a chicken. 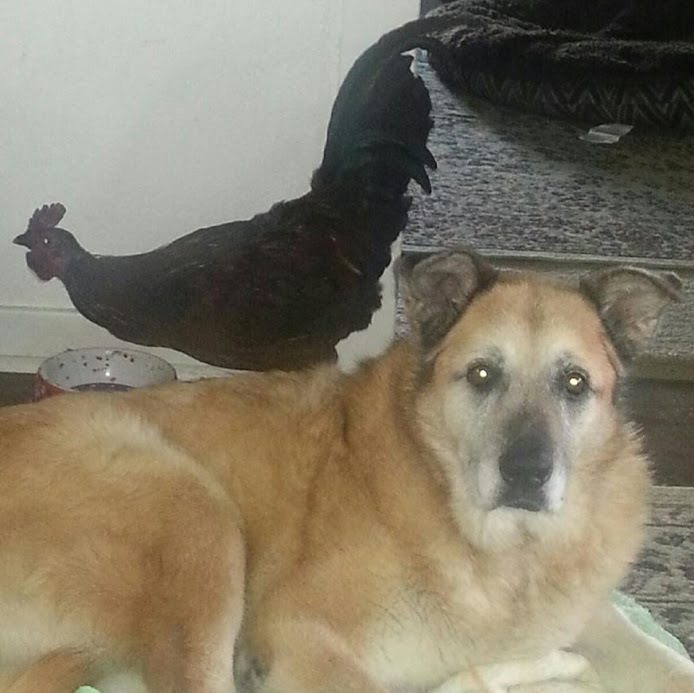 The chicken comes inside the house and they sleep on her dog bed together. 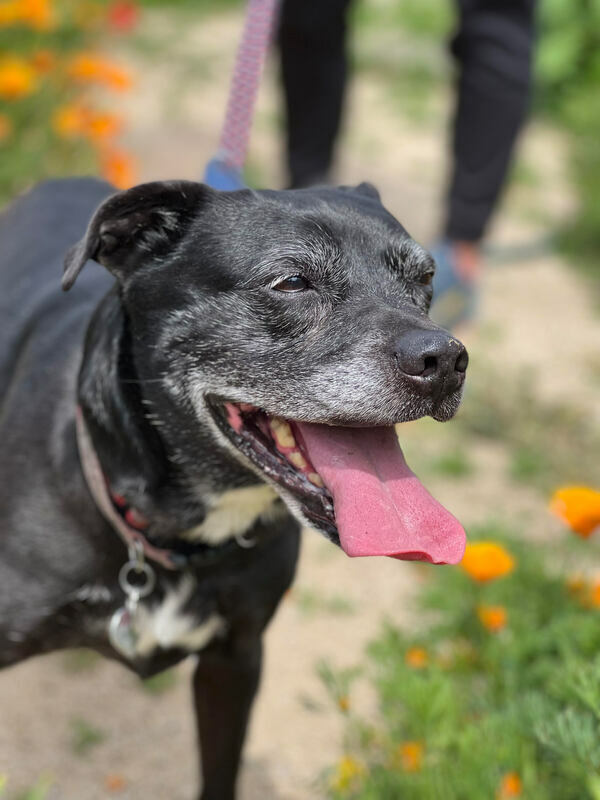 Haley’s life has probably been pretty hard and challenging before being rescued, but now she can live out her golden years in a loving, safe environment. 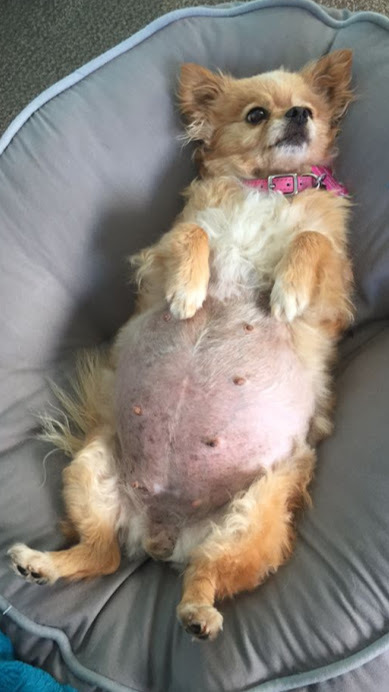 ​Little Belle is a 7 year old Pomeranian mix that came from a Central Valley shelter very, very pregnant. She was microchipped and the shelter tried to contact her owner, but they never followed through on picking her up. 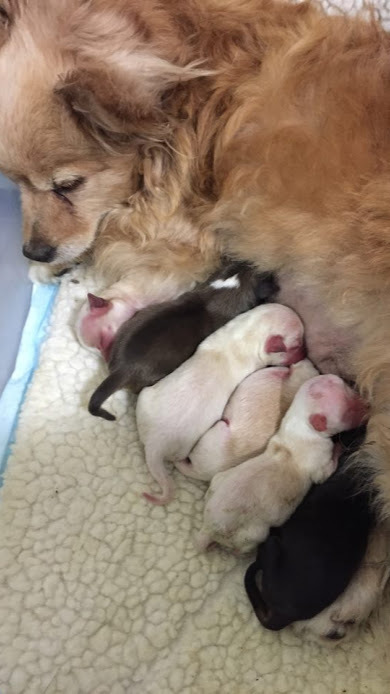 We accepted her into our program and she settled into a foster home to raise her puppies. 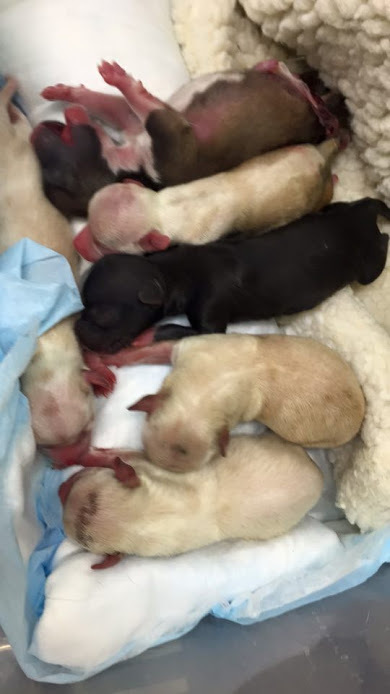 A couple weeks later Belle delivered her puppies via emergency c-section. Mom and pups were all healthy and spent the next 8 weeks in a safe environment with other dogs and lots of socialization. Belle and puppies were all adopted and she is now in a loving home getting all the attention she deserves.